"Matilda Heart" - SOLD - Thank you!!! This Valentine Love Bug has many hearts! 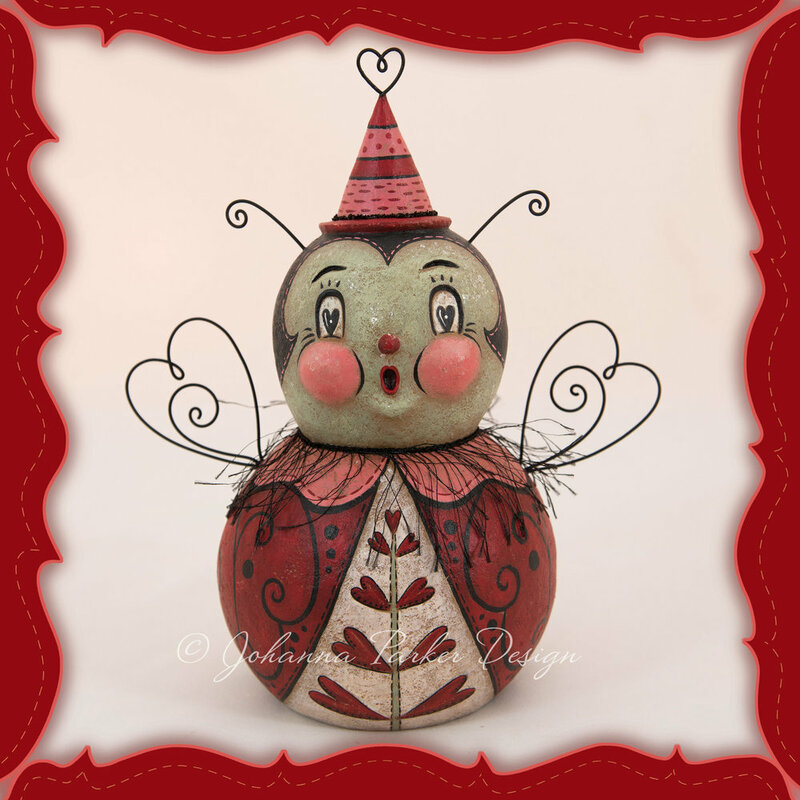 She wears a sculpted party hat, painted with hearts, topped with a wire heart and trimmed with a delicate band of red glass glitter, all framed by her whimsical wire antennae. 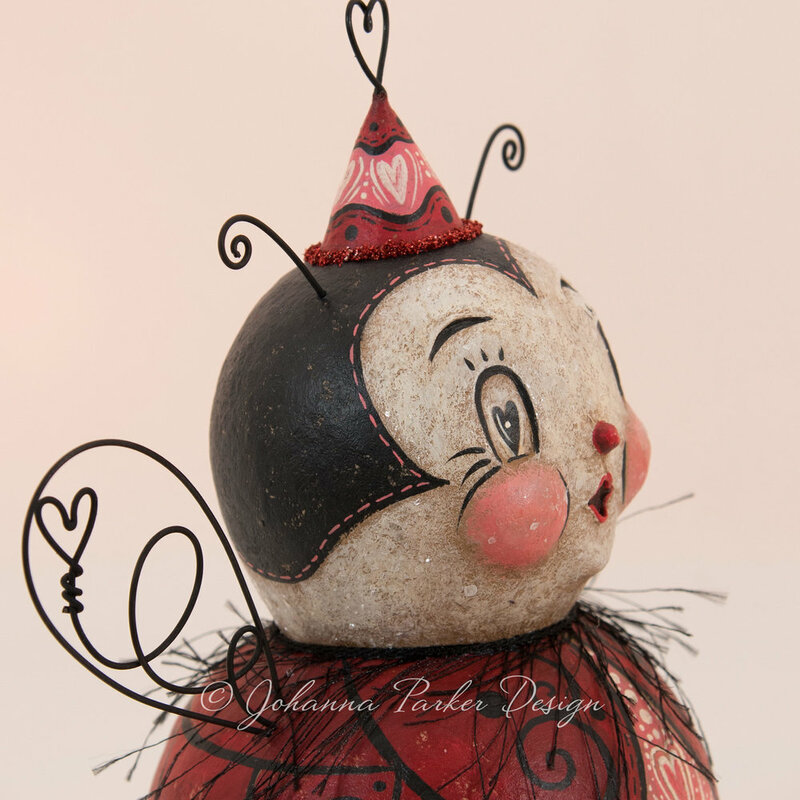 Ruddy bulbous cheeks, a red knob nose and indented arched eyes, painted with piercing pupil hearts, add a sweet touch! 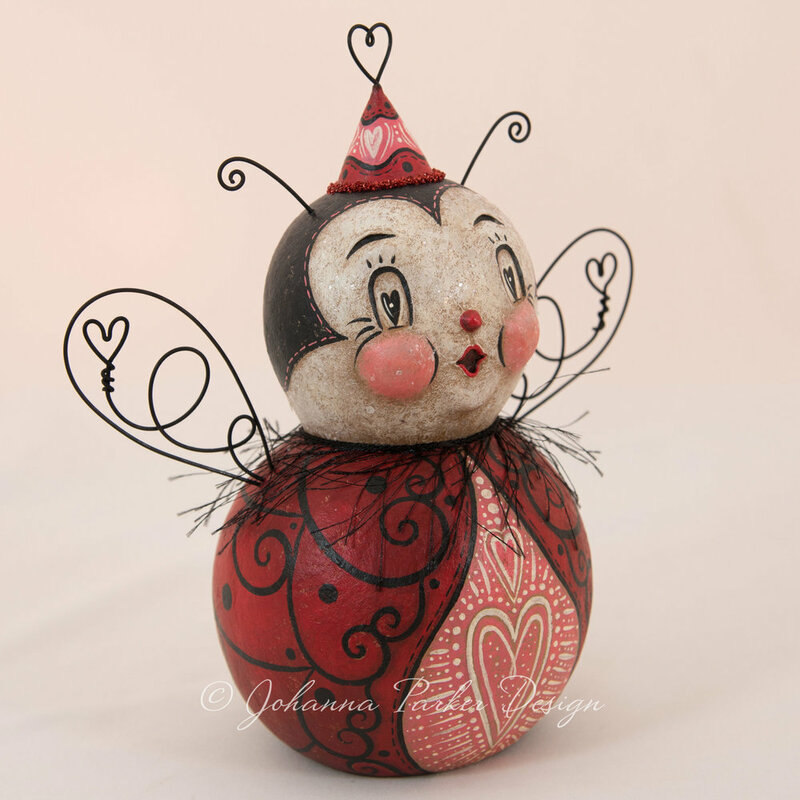 Below, a lovely red design, that doubles as her painted love bug wings, is decorated with swirling patterns all around and a heart at back. Vintage cream and pink patterns add to the heart art theme and decorate her attire. A black collar wisp adds texture and fun to Matilda's fanciful attire. A pair of wire wings that mirror the hearts remind us that she can fly! She is dusted with mica for added shimmer. 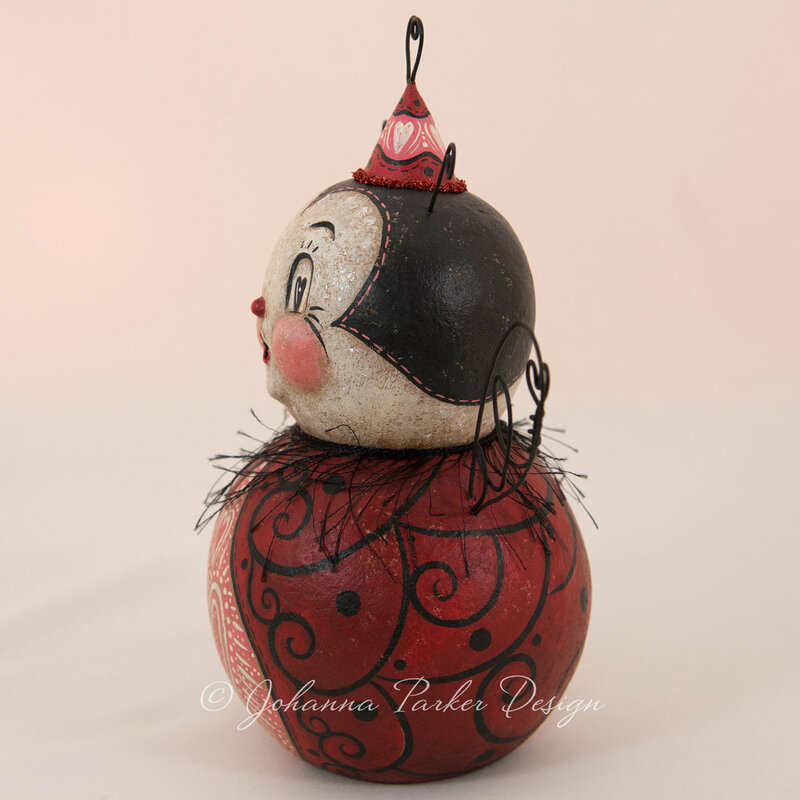 A Johanna Parker Design original!